We don't just give you any filter coffee. 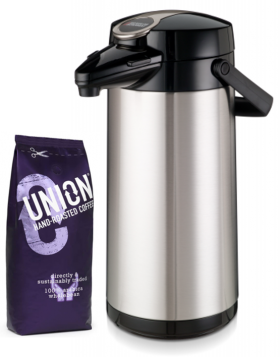 Our coffee is the medium roast Spirit Blend from Union Hand-Roasted, who roast all their coffee to order in East London. 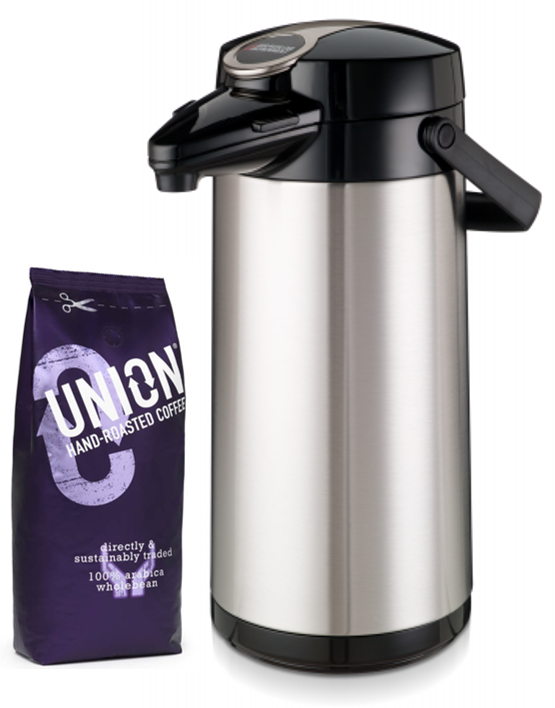 Each flask of tea or coffee provides approximately 10 servings and milk, sugar and disposable crockery are all included in the price. However, if you'd rather have china crockery, we can provide this for just £8 per 10 sets. Hire, collection and cleaning of flasks, jugs and cups after your event incurs a setup charge of £20. If you're outside our free delivery area, an extra delivery charge will be applicable.